When our flavour experts meet passionates, the synergy developed by these professionals can only lead to exquisites tastes. They do not contain any diacetyl, ambrox or acetyl propionyl. We only use premium materials in order to obtain an outstanding result for the pleasure of our customers. And as needs change by the season, we regularly develop new ranges of these flavours for an infinite choice. It is very important for us to stay in touch with our primary goal: health improvement. Our fabrication processes fully respect the HACCP’ hygiene rules and every norm set by ISO, in this field of activity. Our products are made in France and this is guaranteed and recognised by AFNOR since 2015. All our liquides can be tracked within an entire transparency. Our factory is located near by Paris and any activity related to our juices is handled there. 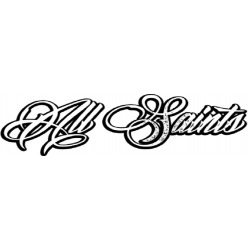 This time, the team created a brand new range of juices; All Saints, which offers rich and tasty flavours, kept in bottles made out of black glass and with a pipette. When quality rhymes with good taste, you can know that J Well is around.